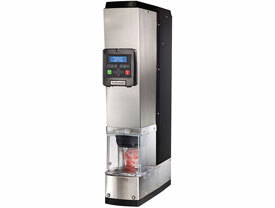 This commercial drink dispenser will help you generate significant savings by serving blended drinks with minimal labor, no wasted ingredients, and as little as 10oz (300ml) of water to completely rinse between drinks. Efficient Process Everything you put into the cup is served to the customer. No more wasted ingredients left in blender jars.